Bzzt! 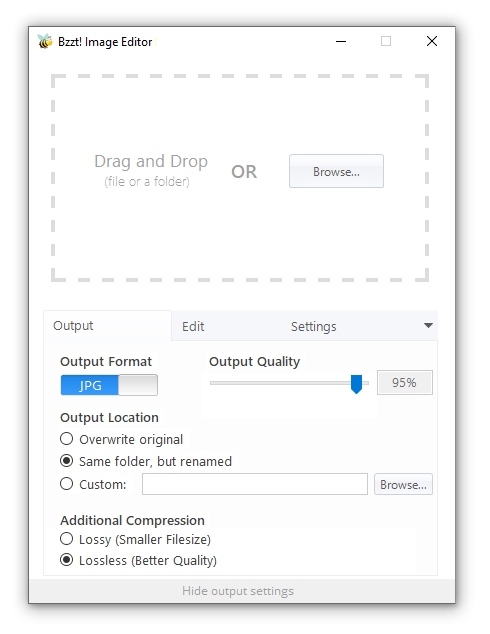 Image Editor can compress, rotate, resize and convert images in bulk from an easy drag-and-drop interface. 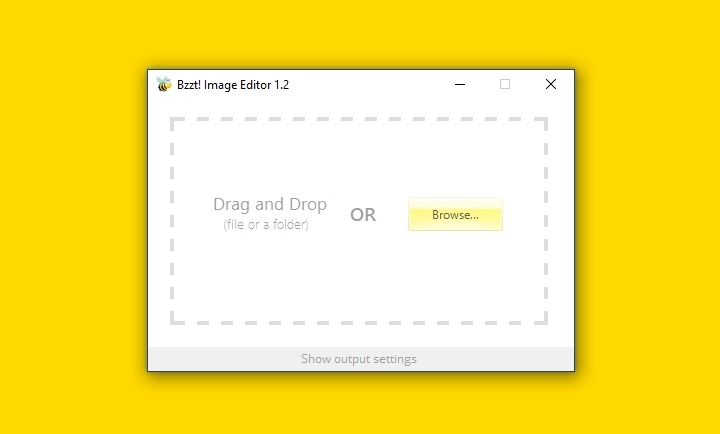 It’s perfect for making web-friendly images in an instant.